As spring swings into gear, pivotal moments in adolescent life come into view: prom, graduation and maybe even a college acceptance letter. It’s a time to celebrate past success and new opportunities, to try new things and let loose. However, for many teens, “letting loose” to celebrate these rites of passage have become synonymous with drinking alcohol—getting drunk for the first time, binge drinking (4 or 5 drinks at one occasion), and driving under the influence. About one-third of teens aged 16 to 19 said it was likely that they or their friends would use drugs or alcohol on prom night. This does not come without consequences. According to the National Highway Traffic Safety Administration (NHTSA), roughly one-third of alcohol-related teen traffic fatalities occur between April and June, the peak of prom and graduation season. The costs associated with underage drinking are over $52 billion per year. Celebrating rites of passage with alcohol should not be the norm. This month, during national Alcohol Awareness Month, we focus on changing the norms surrounding adolescent rites of passage and alcohol use. 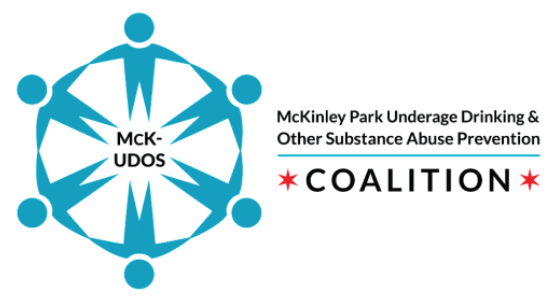 The McKinley Park Underage Drinking and Other Substances Prevention Coalition (McK-UDOS) will host talks at Pickard Elementary and Columbia Explorers Academy schools in April to highlight the dangers of adolescent drinking during these important moments. Lee Roupas, Manager of the Beverage Alcohol Sellers and Servers Education and Training (BASSET) Program at the Illinois Liquor Control Commission (ILCC), will speak about the harms associated with experimentation with alcohol and binge drinking. Having a first drink at these special events as part of a rite of passage may seem “normal,” but can lead to dangerous patterns of behavior. This is especially true as high school students move to future stages in life. One study showed that students who began drinking at earlier ages tended to drink more heavily in college as well, ascribing to the belief that alcohol was integral to the college experience and that students are entitled to drink irresponsibly. spans and girls’ ability to comprehend and interpret visual information, all of which links to poor performance in mathematics and engineering. Overall, binge drinkers performed worse on thinking and memory tests compared to teens who did not drink. These pivotal moments—prom, graduation, or even celebrating a college acceptance—do not require alcohol to be a “rite of passage”. Events like Fiesta del Sol, a nationally recognized (and alcohol-free) Pilsen festival with over 1 million attendees, show us that there is more to celebrations than alcohol.